I don't care what you say, the Lego Star wars are some of my favourite video games. They are the best. So I am very, very excited about the Force Awakens game. 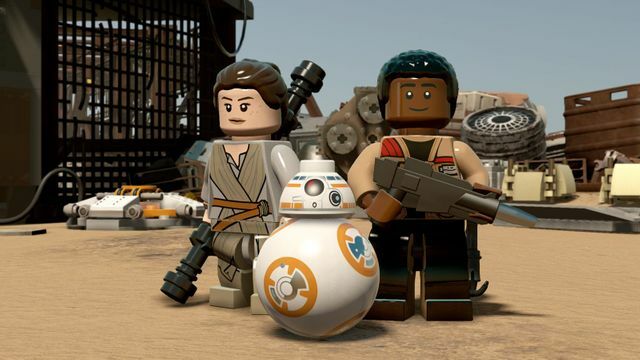 The Lego Star Wars series has a rich history that extends beyond the source material — an interpretation of the two trilogies that stays both stays true to the films while injecting innumerable visual gags. For its upcoming take on The Force Awakens, the first new Lego Star Wars game since 2011, developer TT Games is trying something new. For starters, the game will explore what happened off-screen, with seven of the games' 18 "story levels" taking place in the lead-up to Episode VII. How did C-3PO get his red replacement arm? You can read the comic to find out, or you can experience yourself through digital Lego bricks.